Within RD-Connect, Joanna is involved in the work on biobanks and represents the project in Malta. Ms Joanna Vella holds a Bachelor Honours degree in Pharmacy from the University of Malta. Her undergraduate dissertation, entitled ‘Determination of Pancreatic amylase in Gastric Juice’, involved the review of analytical methods to analyse for pancreatic amylase in blood, serum and urine. Joanna read for a Masters degree in Forensic Science at King’s College London. She carried out her MSc research project on mRNA and DNA profiling of minute body fluid stains with the London Metropolitan Police (New Scotland Yard), for which she won an award for best MET project in 2009. In 2011 Joanna attended an intensive course in biobanking, titled ‘Certificate on Principles of Biobanking for Clinical, Biological and Environmental Biospecimens and Bioresources’, at the University of Luxembourg. Joanna worked as an Assistant Anti-Doping Analyst at the London 2012 Olympic and Paralympic Games and has work experience as a Laboratory Technologist and a Locum Pharmacist, among others. 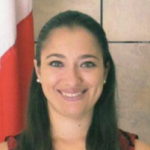 She has held the role of Research Support Officer II / Biobank Assistant since August 2010 and still currently holds this position at the Malta BioBank / BBMRI.mt, Centre of Molecular Medicine and BioBanking, and the National Node in BBMRI-ERIC, at the University of Malta. Joanna is also reading for a part-time doctoral degree at the University of Malta.